This is a wonderful little highlighter available in two shades Golden Glow & Icy Glow (I opted for Icy Glow, although Golden Glow will be my choice for the summer months). 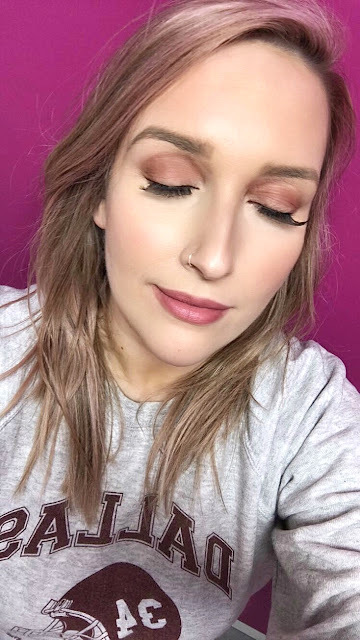 For some time now I have been incorporating cream contour products into my daily routine to work alongside my powder products, as this helps to really intensify my contour and highlight, keeping it in place for longer during the day too. Icy Glow is a highlighter that doesn't contain glitter, but instead a beautiful, pearlescent sheen that leaves skin dewy and glowing. My preferred way to apply this is mixing a spot in with my foundation and then mixing together on the back of my hand, before applying with my Spectrum stippling face brush. Initially, I was pleased with the overall glow my skin had and felt that was enough glow. 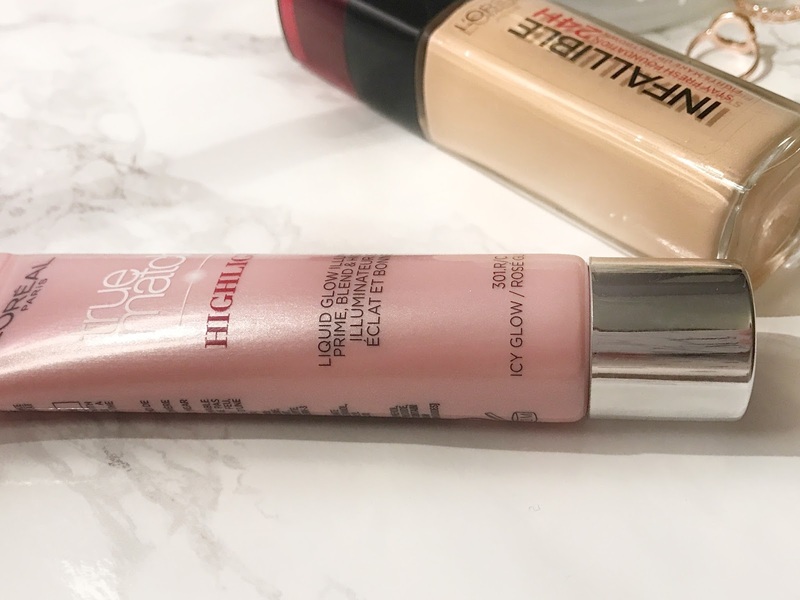 But when this highlighter is dotted along the cheekbones, down the bridge of the nose and underneath the brow bone, it is clear it gives a beautiful ethereal shine to the high points of the face. The consistency of this is liquid but it isn't overly thin and doesn't drip. Instead, you do have to work fairly fast to blend this out when applied direct to the skin to ensure you don't get a streak of highlight but it is blendable and not remotely sticky on the skin. I dust a powder highlight on top to set it in place and I'm good to glow! SIDE NOTE. I cannot believe how much product you get for £6.99! I was desperate to try the new L'oreal Total Cover foundation, but after doing my research decided it would not be great on my dry, sensitive skin. On browsing the counter, I found the sign for "Normal to Dry Skin" and decided Infallible 24hr was for me. And boy, I wasn't wrong. Opting for the shade Vanilla, I apply this with my fingers or onto a brush and then blend out using a damp beauty blender. I am met with no caked skin, no streaking and no areas where it has clung to dry patches, simply skin that looks flawless but is still my skin! It feels comfortable against my skin and wears well throughout the day, not leaving behind any tell tale dry patches or streaks. From the moment it is applies, it feels hydrating and like it is blending into the skin as opposed to sitting ontop of it. 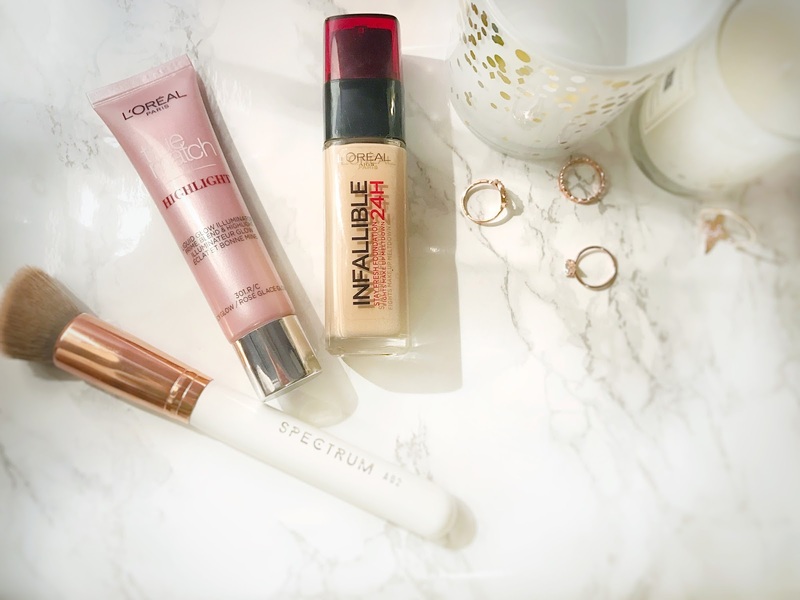 A medium to full coverage when built up, I definitely can wear this foundation throughout my working day and also for an evening out. Cannot recommend this foundation enough, especially for those of you with drier skin! What L'oreal products would you recommend?